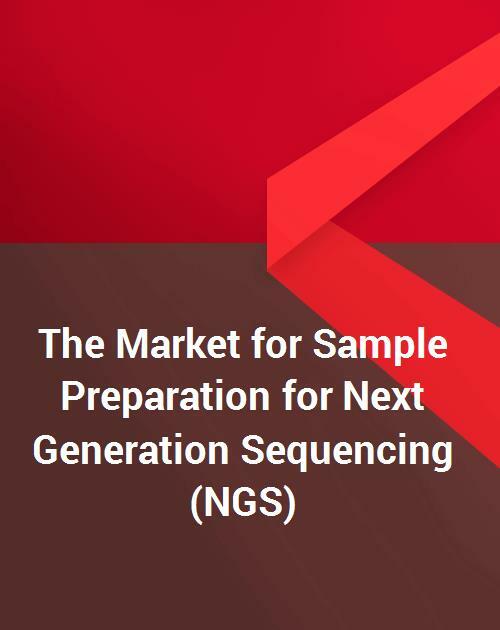 The Market for Sample Preparation for Next Generation Sequencing (NGS) covers trends, challenges, strategies, manufacturers, and products, and provides estimates of revenue share and market growth, which includes NGS hardware and consumables. Data presented include NGS sample preparation market and growth rate, 2015-2020; market by geographic region, 2015 (North America, Europe, Asia-Pacific, rest-of-world); market by product type, 2015 (enrichment, libr prep kits panels, etc. ; automation/ hardware; nucleic acid extraction; total); and NGS sample preparation leading manufacturer sales and market shares, 2015. This report notes the direction in which the market for library preparation and target enrichment for NGS is heading, including significant efforts in automation and miniaturization, rapid adoption of smaller sequencers driving applications, and expanding clinical adoption sustaining high growth. Leading manufacturers, such as Agilent Technologies, F. Hoffmann-La Roche AG, Illumina, and Thermo Fisher Scientific, are analyzed, with the competitive situation, deals, and litigation covered in respective chapters.